Decorating for autumn offers bunches of opportunities to welcome snappy temperature, festive holidays, and the coming of winter. 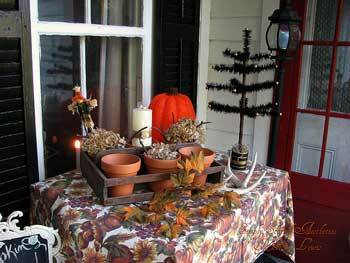 Football, the chill in the air, crimson leaves, and outdoor fall decorating all add a heightened sense to the season. 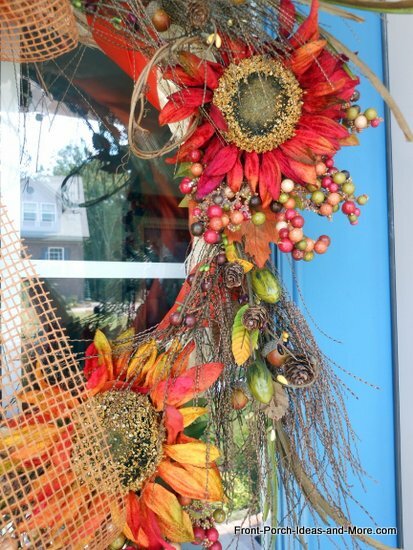 Mary and I have many pictures of autumn decorations in our fall decorating section to fit just about any budget or decorating style. 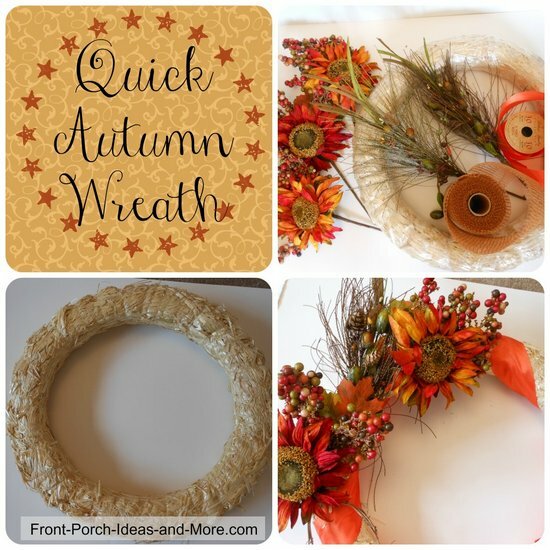 Let's begin with Rebecca's autumn decorating ideas below and then check out our tutorial on making a unique autumn front door wreath. 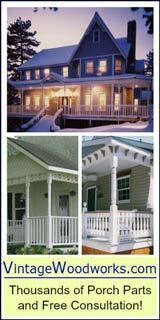 Rebecca, wife, mother, and entrepreneur of Simply Stated Antiques and Simply Stated Aesthetics!, absolutely adores porches. Their home was built in 1854 in the Greek Revival farmhouse style - plain with wonderful black shutters, big rooms, and a very welcoming front porch with wide steps; all things necessary and very efficient for a growing family. Rebecca and her husband bought their home on Halloween day twelve years ago from the great grandson of the original owner, making them the first unrelated family to have ever owned this charming home. 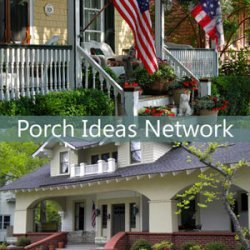 Dave: Rebecca, what do you love most about your front porch? 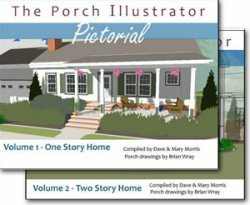 Rebecca: The front porch is large enough to hold a chair or two with some tables so we can enjoy a beverage while reading a book, watching the children play in the front yard, or just watching the world go by. And I have to add there is nothing like eating fresh home made ice cream on the front steps in the heat of summer! 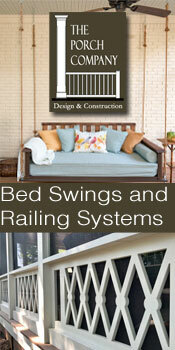 Dave: Your porch is beautiful and very comfortable. 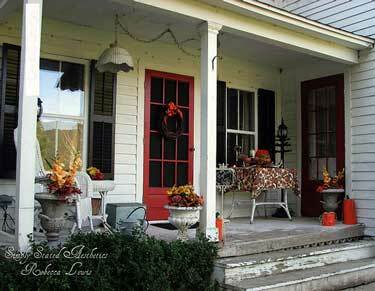 What are your secrets when decorating for autumn? Rebecca: I love to constantly change the decorations. My decorating ideas are inspired by the seasons, family memories, gifts, and my enjoyment of antique treasures. 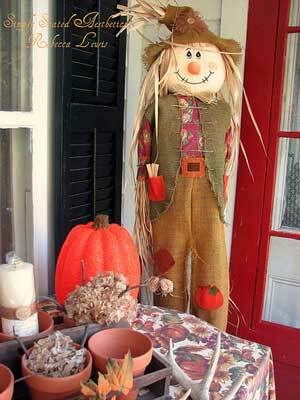 Autumn decorating is probably my favorite because of all the rich warm colors and scents. 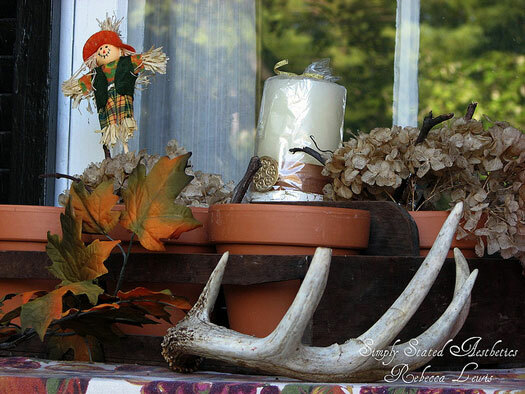 Dave: Adding unique accent items is essential when decorating for autumn. 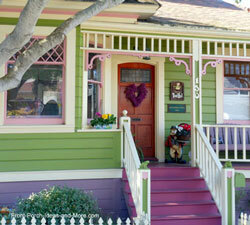 Can you tell us what's behind some of the accent pieces you placed on your porch? 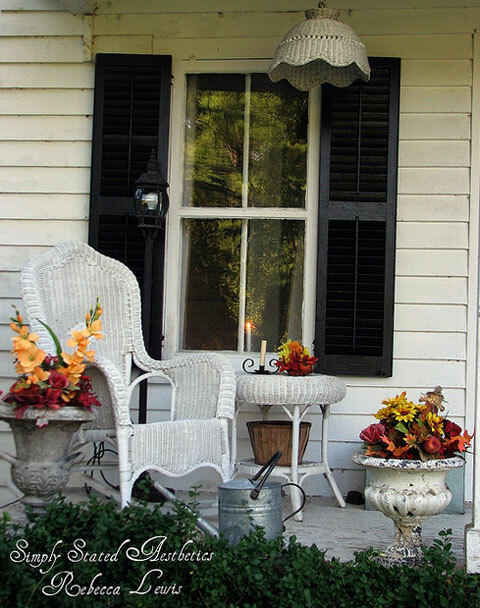 Rebecca: The cast urn planter (seen in the photo with the rocking chair) that greets guests at the front step was an exciting find at local antique shop. 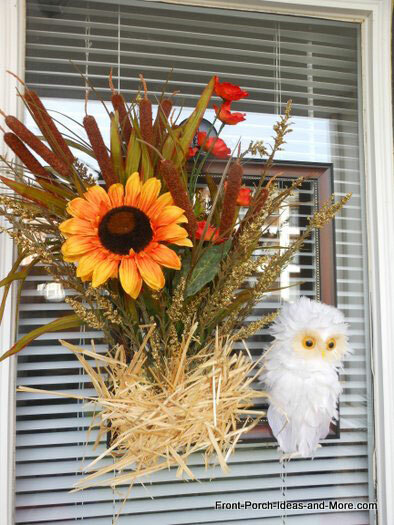 I simply made a floral arrangement to bring the colors of autumn to the front door. I placed an autumn inspired table cloth to warm things up and added a vintage wooden plant carrier with terracotta pots filled with treasures from nature - twigs, gourds, clusters of weathered hydrangea (love how they have turned brown and tan ~ almost skeleton-like) and a miniature scarecrow on the vintage wicker table. The deer antlers were a gift from my father who found them in a hay field while working. And to add just a touch of Halloween I added one of my seasonal feather trees that I make by hand from real goose feathers in black. 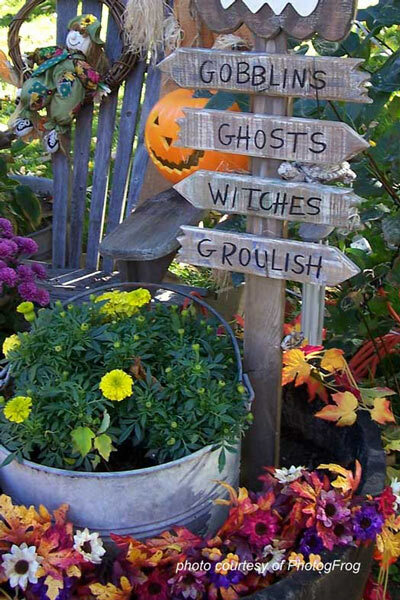 Decorating for autumn wouldn't be complete without pumpkins. Rebecca tells us the "pumpkins" were made by a friend and have been used each season for the last 3 years. And their greeter? Well he is just too cute to leave out ~ a little quiet but very friendly. 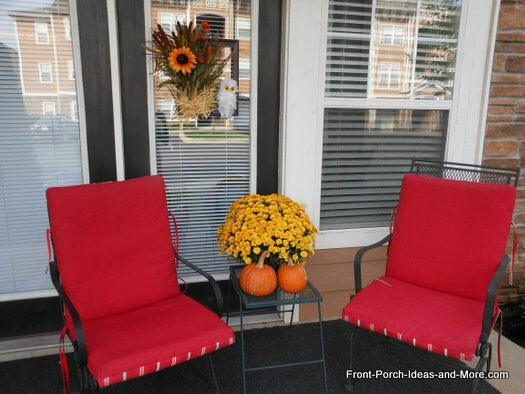 We really appreciate Rebecca sharing her love of porches and her decorating for autumn ideas. You can visit Rebecca at Simply Stated Aesthetics. 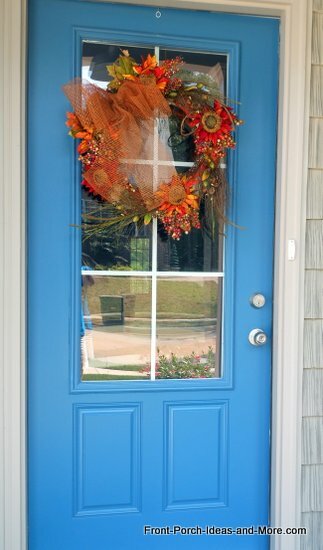 We like fun and eye-catching autumn door decorations, especially front door wreaths. 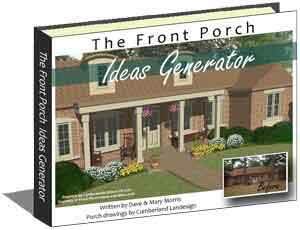 They can dress up your front porch in an instant. 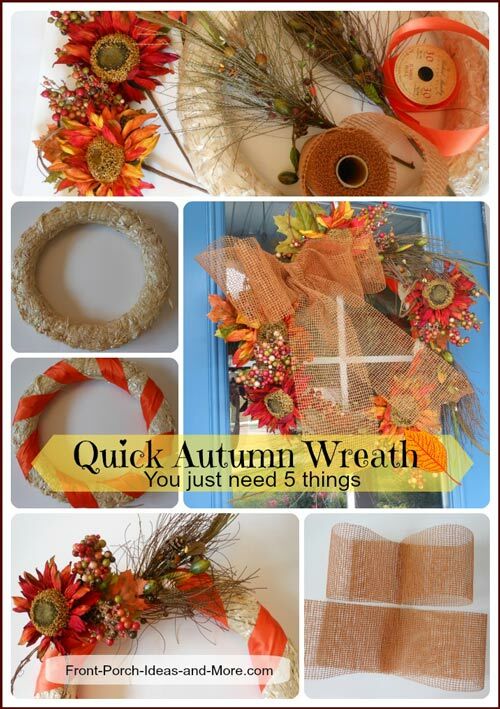 You can purchase fall wreaths for your front door or make your own - like we are going to show you here. 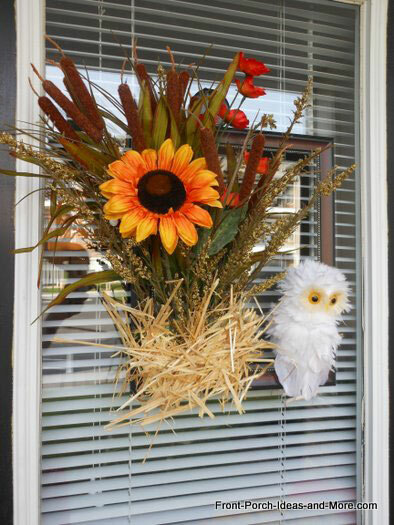 We call this our autumn frame wreath. 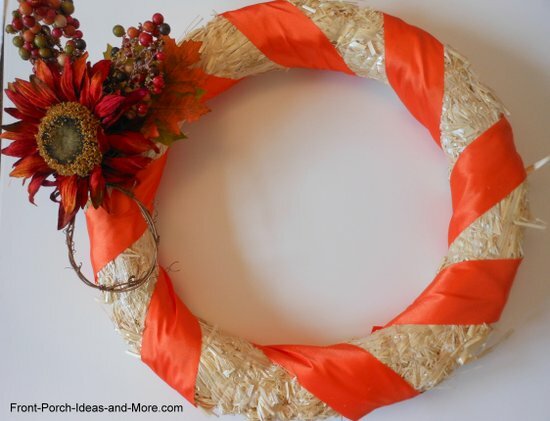 Our autumn frame wreath is a quick, easy project and it would make your front door look fantastic for fall. We used a picture frame we already had on hand as the base. We constructed the wreath without damaging the frame - so we could use it for another holiday if we wish. We purchased a few of the items below at Michaels. However you could purchase nearly all these items at your dollar store for a fraction of the cost. Picture Frame: Like lots of folks, we have many picture frames. Mary and I chose one of an appropriate size (our is 13" x 15") for our front door. We removed the glass and photos. 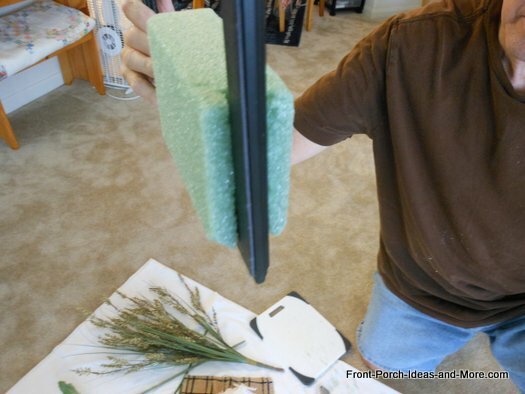 Foam: We purchased a block of floral foam at Michaels, but later saw we could have purchased it at Dollar Tree. 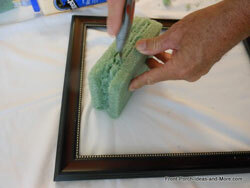 Make sure the foam is thick enough to surround the frame as shown in the photos below. 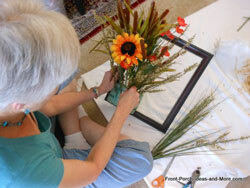 Foliage: Mary selected an assortment of fall colored flowers, cattails, and grasses as shown. 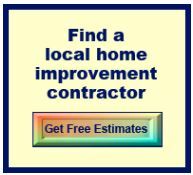 You could just as easily use foliage you may have around your home or in your neighborhood as well. 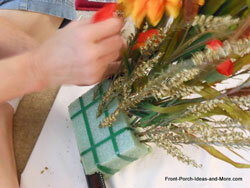 Straw: We used straw to cover the foam block because we already had it on hand but you could also use sphagnum moss. 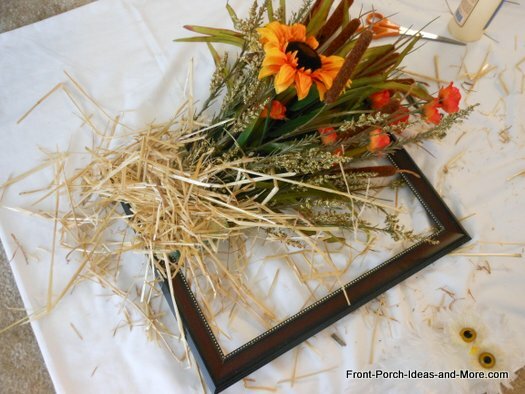 Because you need just a hand full of straw, you might be able to get it at a garden store or pumpkin stand without having to purchase a whole bale. Just ask! Otherwise a small package of sphagnum moss should do the trick. 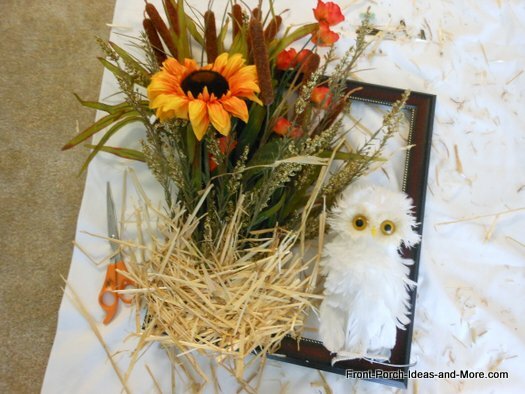 Owl: We purchased a white snowy owl for our wreath at Michaels but you could use any animal or bird that you like. Glue: Oops, it's not in the picture above. But have some glue on-hand. We used wood glue but I think regular white school glue would work ok, too. 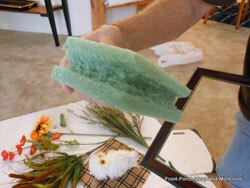 You will be using it to glue the straw to the floral foam. Wreath magnets (optional) We purchased wreath magnets at Michaels. 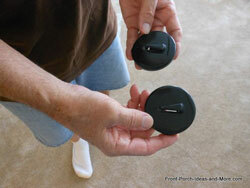 These work well for hanging wreaths and other object on glass. Step 1: We used the box cutter to cut the foam to fit snuggly into the frame. Note that I cut both the side and bottom of the foam. 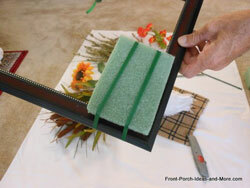 Fit the cut foam into the frame and make additional cuts if required. 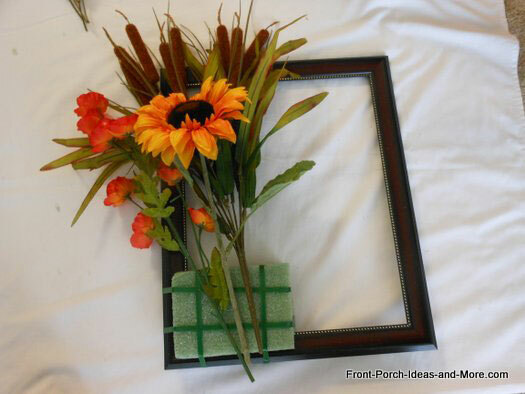 Step 2: Insert the cut foam into the frame and attach with floral tape as shown. 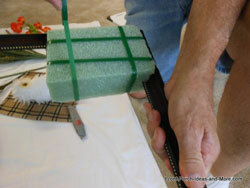 Pull the tape tightly around the foam and frame. 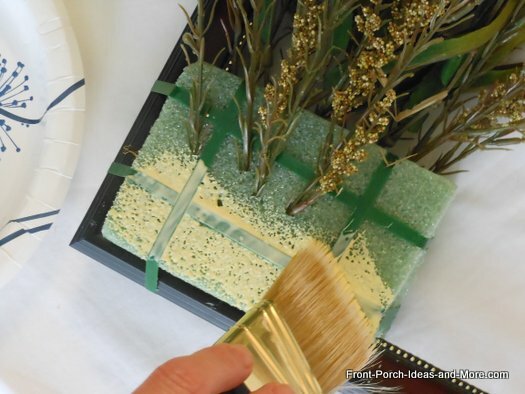 Step 3: Arrange the foliage to get the look you desire. We cut the stems in order to make them the right height and width for the frame. Make adjustments as necessary. Leave room for the owl. Step 4: Push the stems into the foam making adjustments as necessary. Step 5: We brushed glue over the front of the block and placed the straw over it. That did not work so well because we needed more glue so we poured glue on the block, covered it with straw and smushed the straw into the glue. Let it dry and repeat until you cover the block completely. We trimmed the ends of the straw but admittedly it still looks messy. Step 6: Attach the owl. 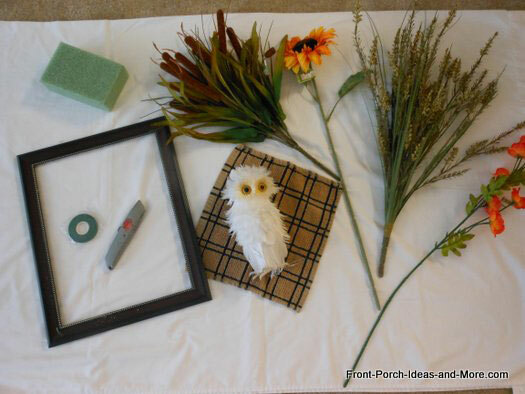 We positioned the owl on the frame as shown and attached it with the wire to hold it in place. 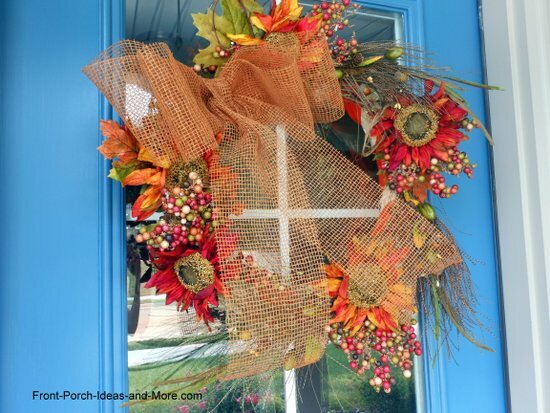 Step 7: Hang the wreath on your front door or window. 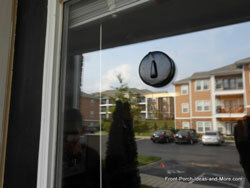 We used wreath magnets to attach our wreath directly to the glass. However, the magnets were not strong enough to hold the wreath in place so we placed a piece of tape across the bottom of the outside magnet - that did the trick. 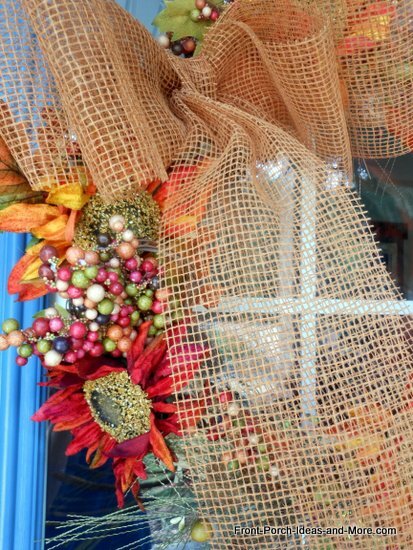 You could also use a traditional over-the-door wreath hanger. 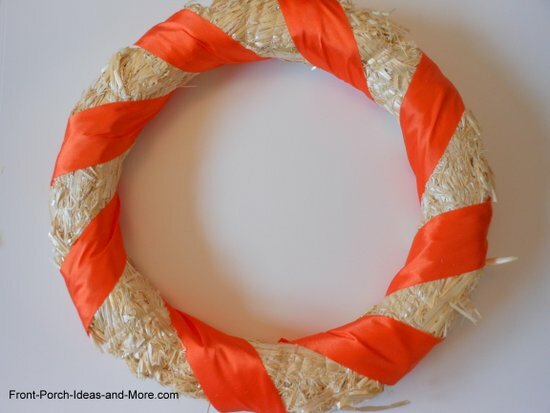 Or you could hang the frame from a loop of ribbon if you already have a hook on your door. We like how our wreath turned out. 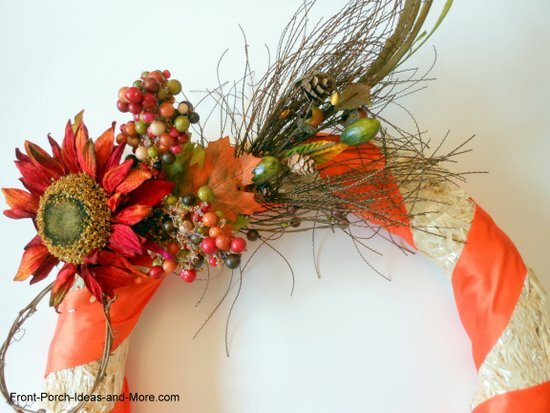 It's a fun decorating for autumn idea and you could do something similar for winter, too, by just swapping out the fall flowers for with winter branches and holly. 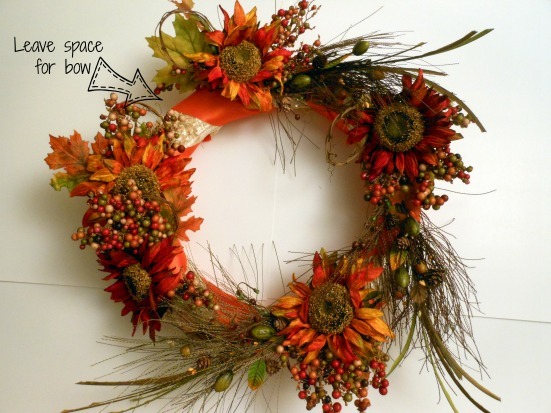 We really like how our autumn splendor wreath turned out - and you know what? It was very easy to make. 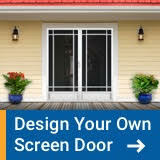 You really don't have to be extra craftsy or artsy to create one of these. 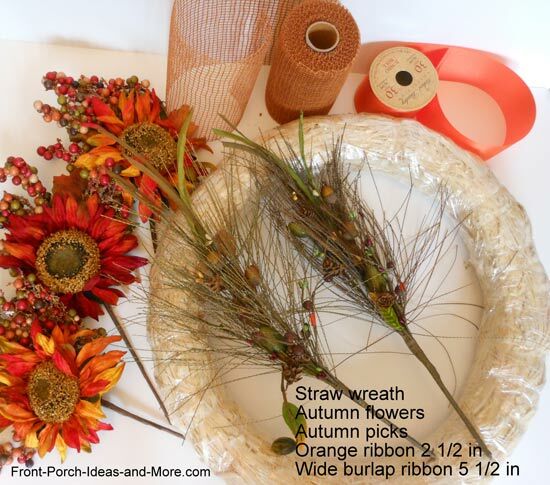 Fall wreath crafts are satisfying especially when you get beautiful flowers and grasses to go around your wreath. You can find them on sale or use coupons to make it easy on your budget. 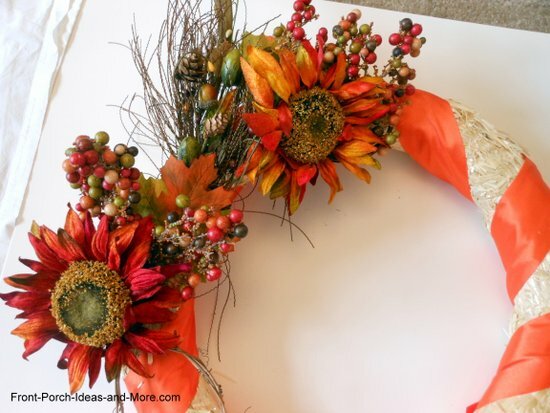 Start adding your autumn flowers. 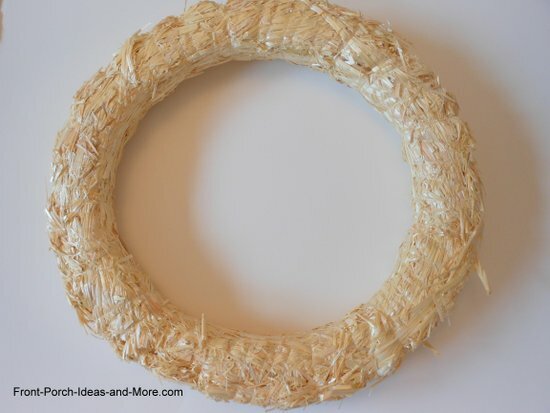 I was able to just poke mine through the straw wreath which made it very easy; I did not need to wire them. 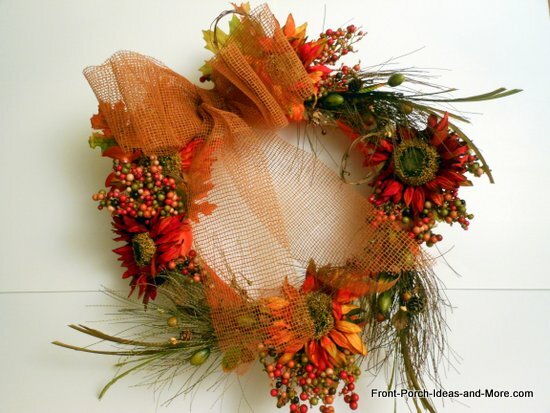 Add grasses or other natural elements in between the flowers; this gives your wreath a beautiful natural-looking flair. Again I could just poke mine through the straw wreath. I experimented for placement. Keep a space open for the bow - unless you don't want a bow, then just fill it in all the way around. I added a beautiful burlap bow and here's my finished project. 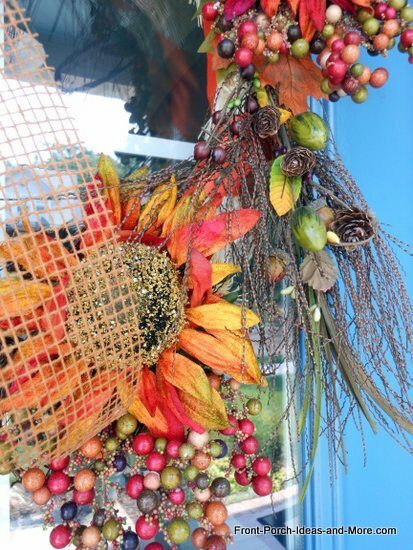 We call is our Autumn Splendor Wreath and like how striking it is on our front door. It took me less than an hour to make. Having the right materials made all the difference; no glue or wires involved. Decorating for autumn with a light easy style.